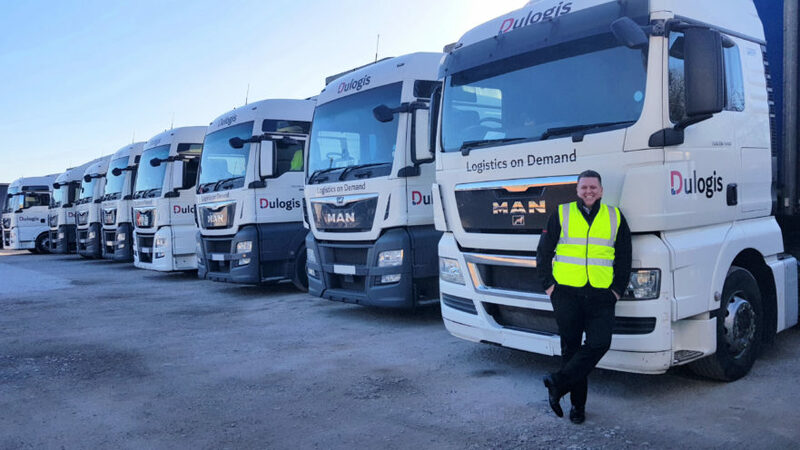 More driving jobs are available as the Dulogis Group continues to invest in its transport fleet. The Staffordshire based transport business is recruiting for LGV drivers after adding added four 18 plate lorries to its fleet. In a further boost to the local economy, the transport firm has also ordered five new Mercedes Sprinter vans from Afford, Fenton, and the company has also taken extra office space at its headquarters inside the Old Vicarage, Tittensor. Managing Director Craig Chapman said: “We have taken delivery of four new MAN Class One HGVs and this brings an immediate demand for more LGV drivers. We have also stepped up office cover to provide a 24 hours a day service to customers. Dulogis’ success has been built on flexibility and an ability to react quickly to customer demands and having 24/7 cover further enhances our capabilities. The company runs its own fleet of lorries and vans and works with thousands of sub-contractors, offering a fast, reliable distribution solutions for customers of all sizes, covering the whole of the UK. Use of technology and a responsive internet platform means Dulogis is able to move customers’ goods within an hour of receiving a request on the company website. Craig founded the business in 2003, when he left an office job and borrowed money to buy a single van. He picked up delivery jobs by contacting customer’s directly, including regular bread delivery work for Roberts Bakery, Northwich. The relationship with Roberts Bakery continues to flourish with Dulogis providing both deliveries with vans and lorries at shops and supermarkets. Dulogis now works with many household names such as JCB, Michelin and Bentley, while also carrying out work for private individuals, collecting Ebay goods and delivering important items, such as forgotten passports to airports and laptops to business meetings.